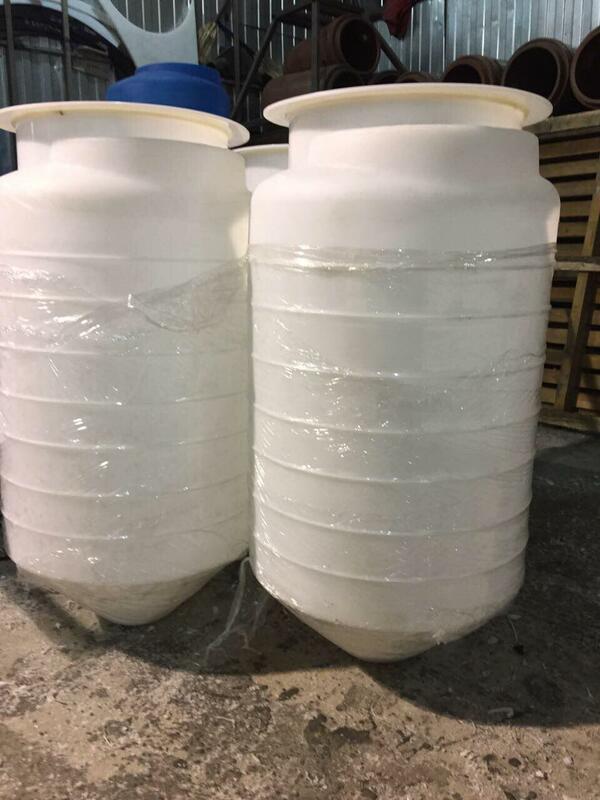 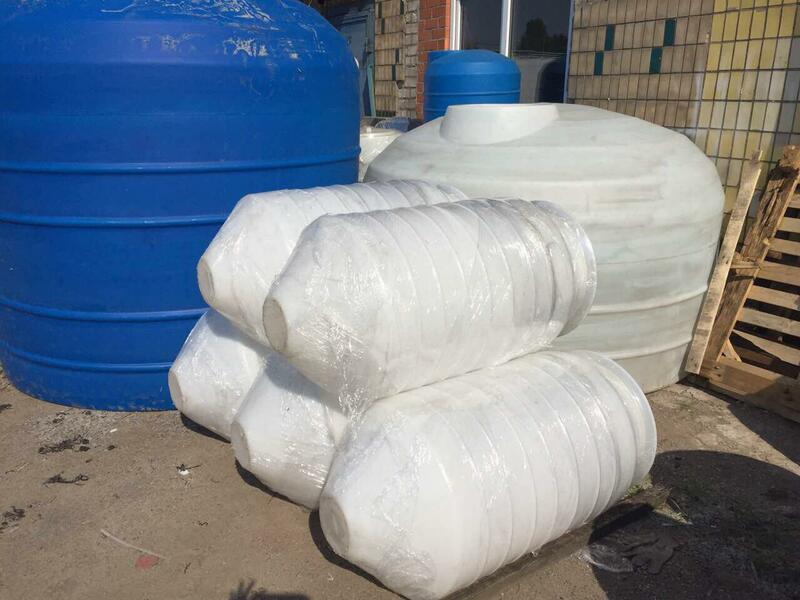 Tanks with complete 100% discharge (alternative conical) on plastic supports. 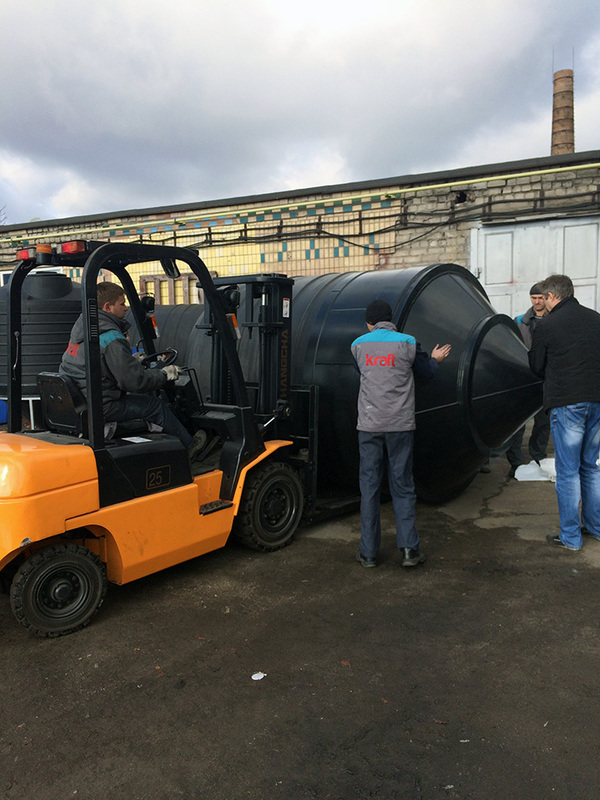 One of the developments of the engineering department of our company are the tanks of a special series with a full discharge. 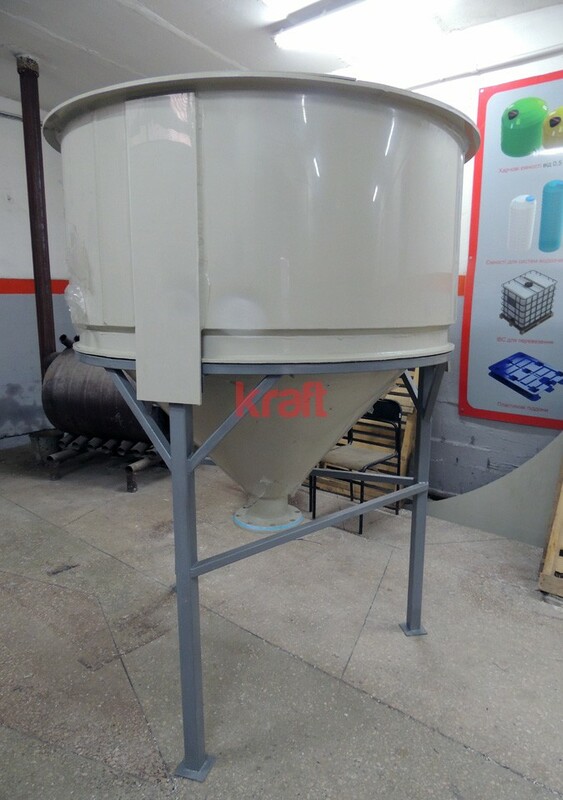 For use in the food and chemical industry one of the requirements is to avoid the accumulation of sediment on the bottom of the tank. 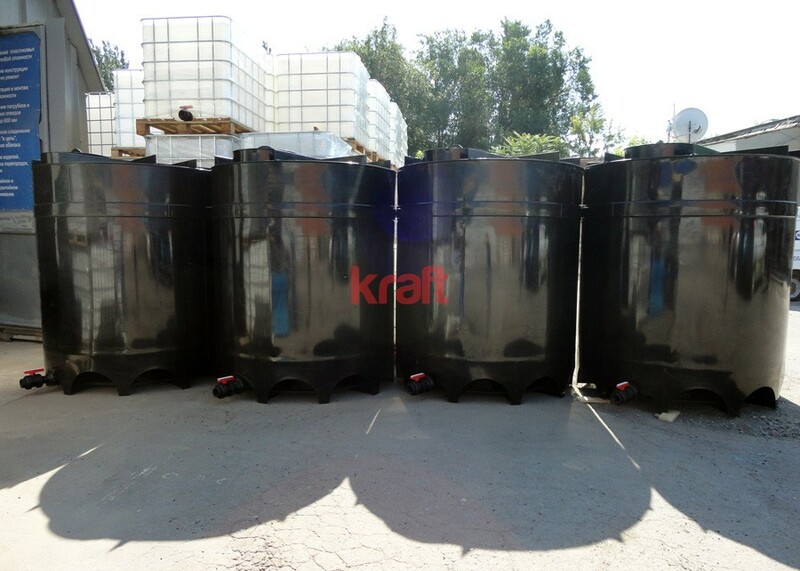 In conventional containers, which are produced for domestic use, residual volume after discharge from 3 to 5% of the total volume of liquid. 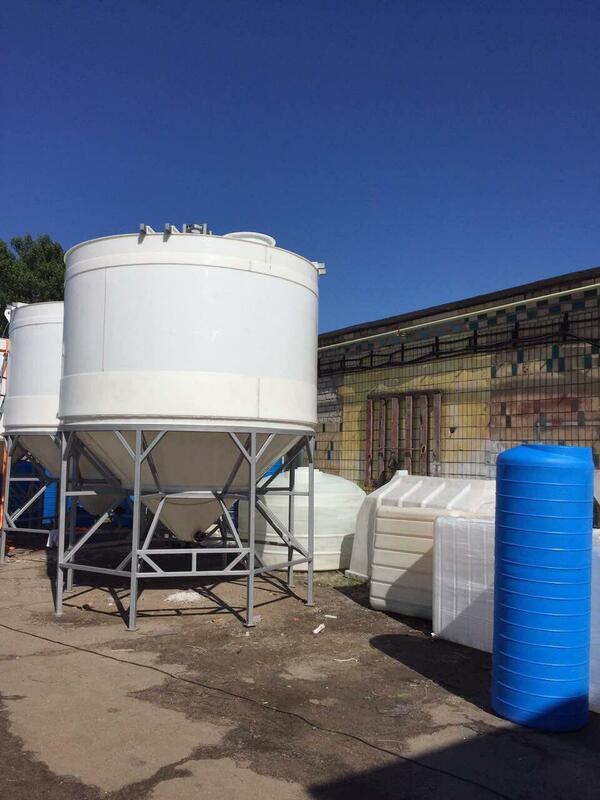 Naturally, this is a problem if the container is stored in the substance involved in the continuous manufacturing process and forming an active sludge: syrups, paints, fermentation products, etc. 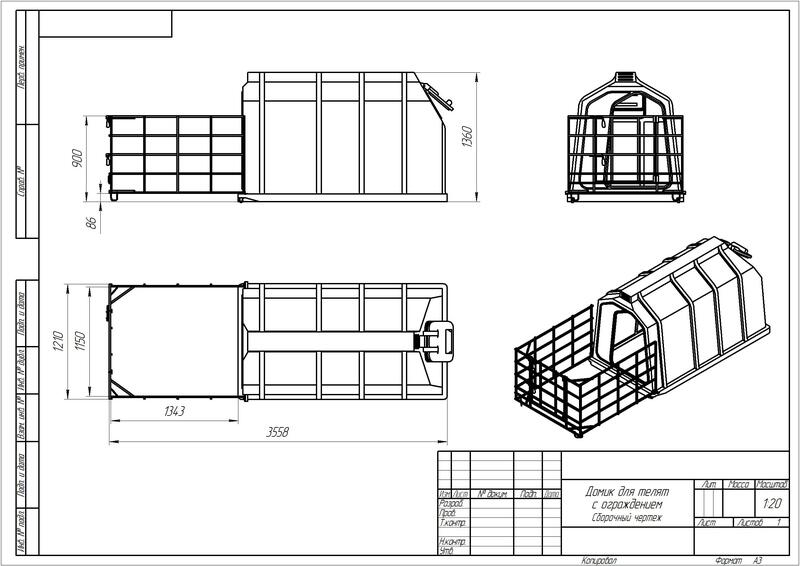 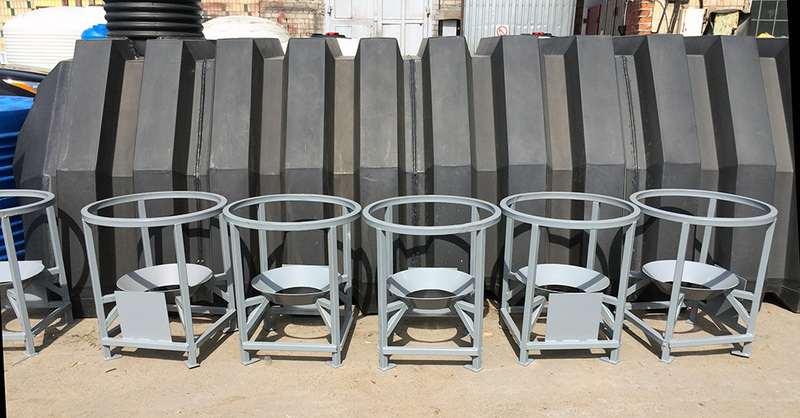 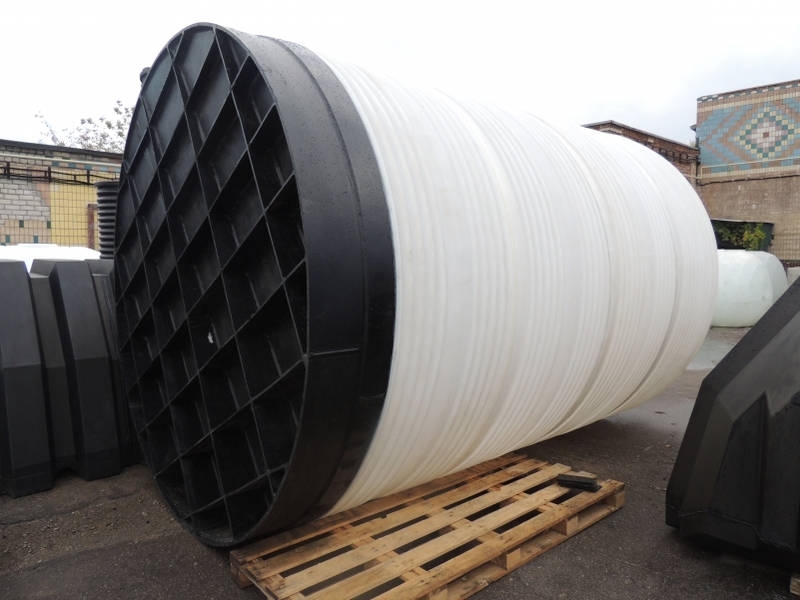 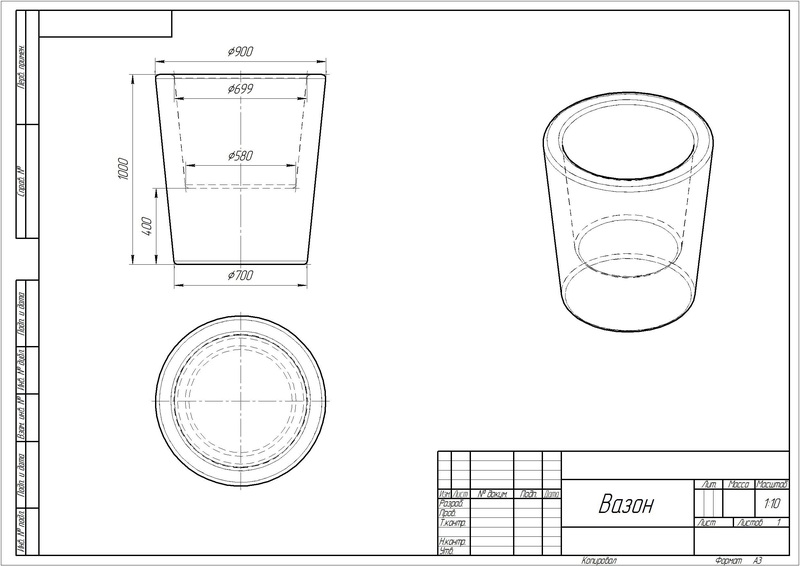 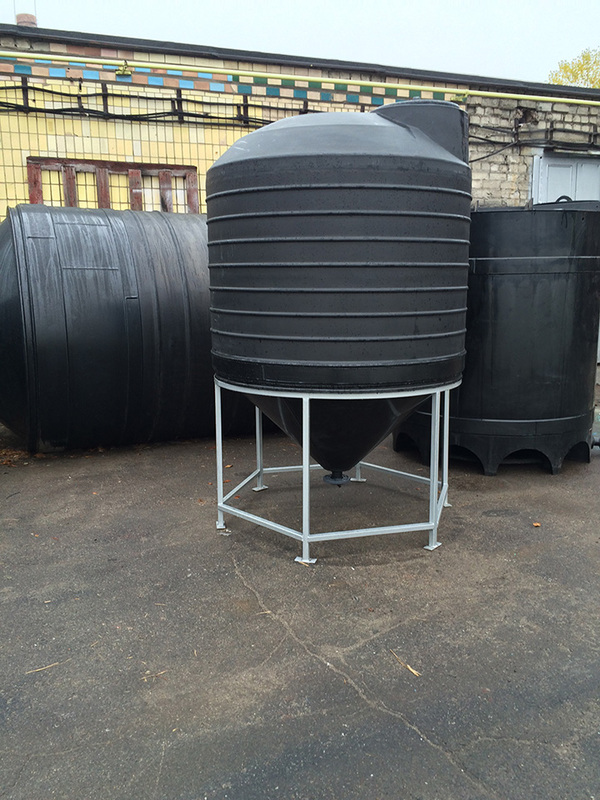 An alternative option for the full discharge of used containers with conical bottoms. 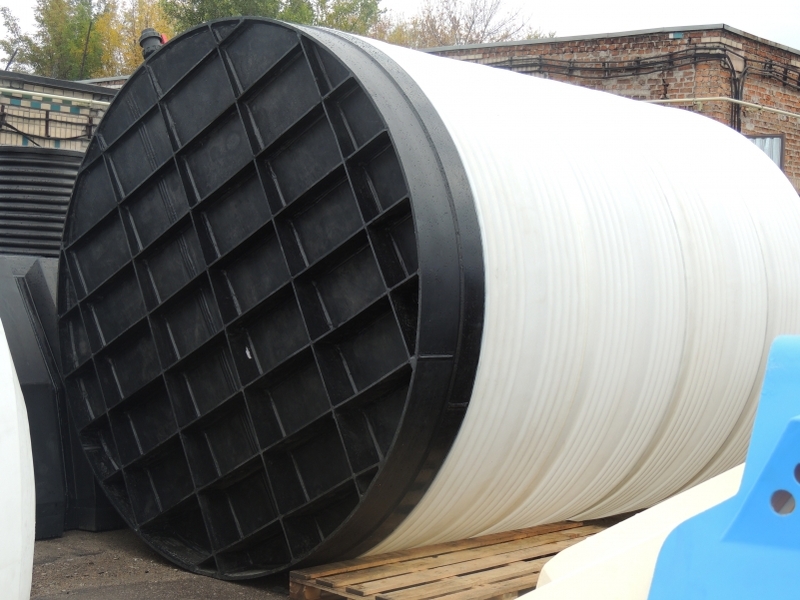 However, the need to support the appropriate load bearing capacity and substantially directly the cone lie on the cost of products. 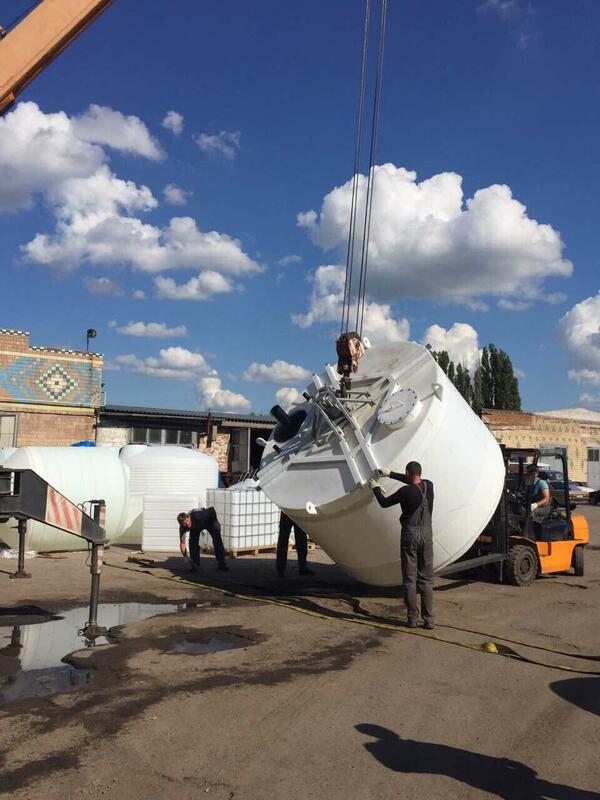 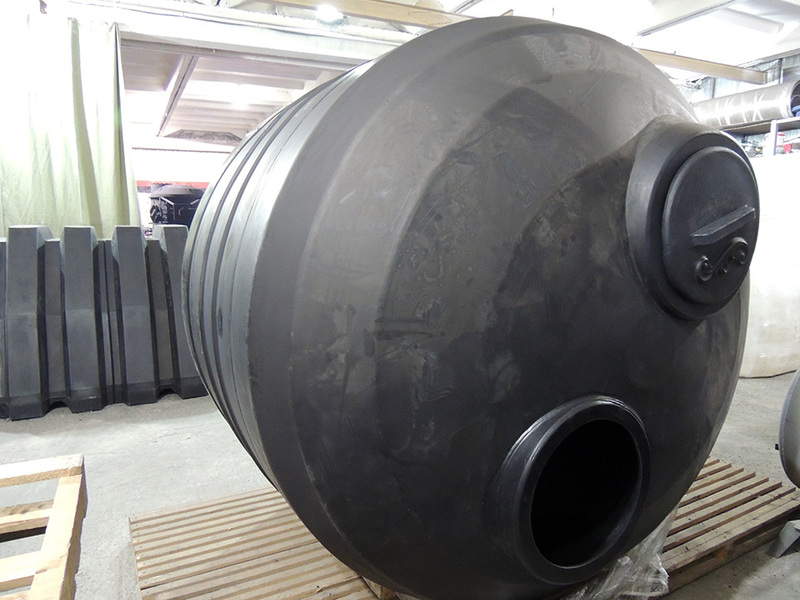 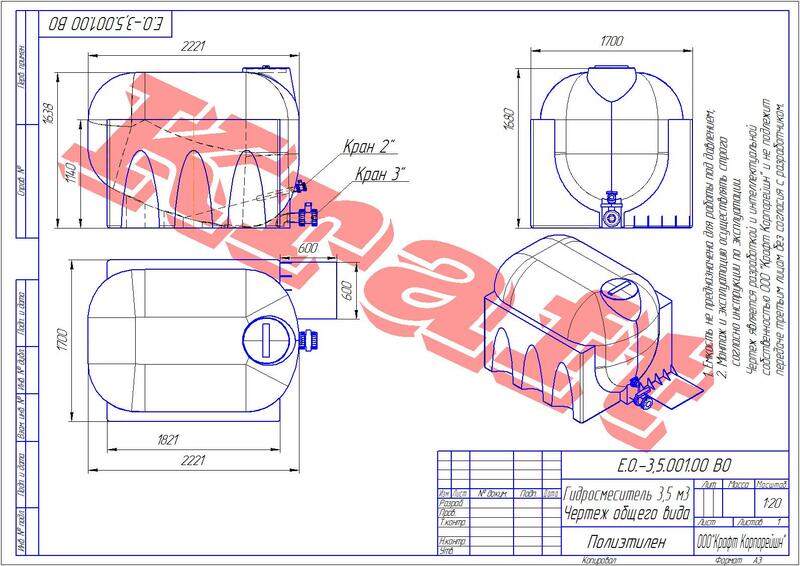 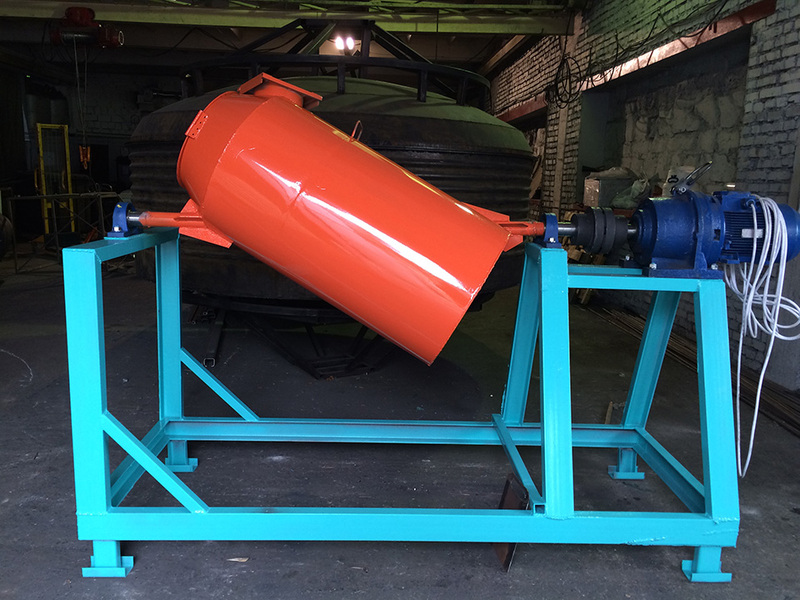 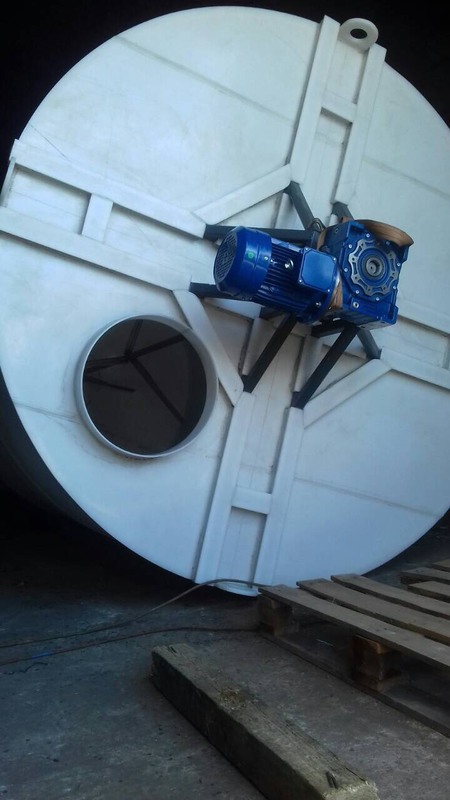 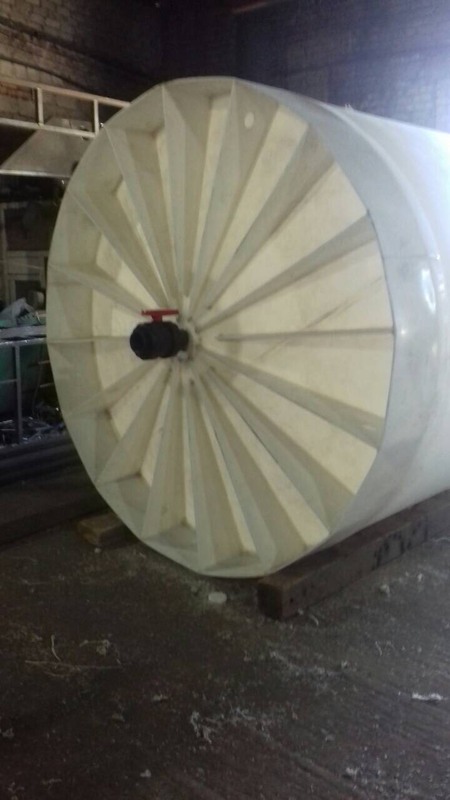 In this regard, our company has developed a line of tanks with a full 100% discharge without the use of a cone. 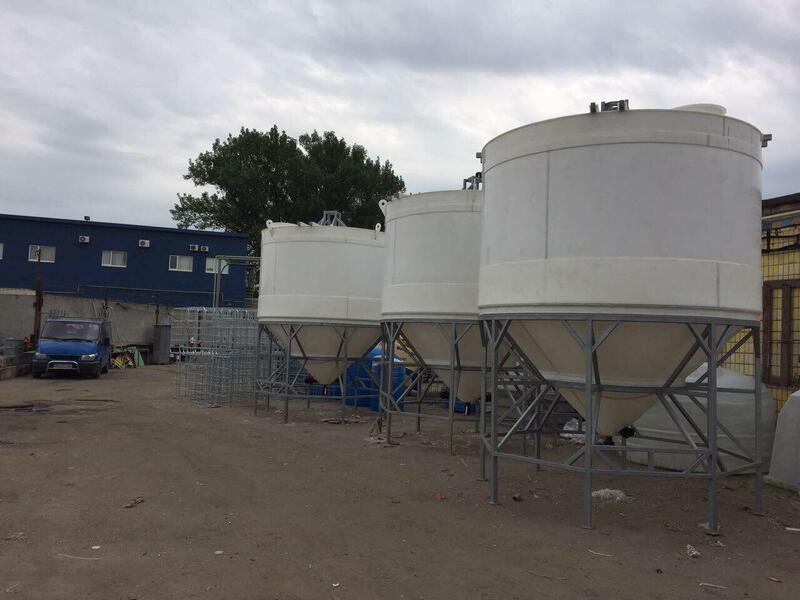 Containers of this series can be additionally equipped with ladders for maintenance, mixers, any valves. 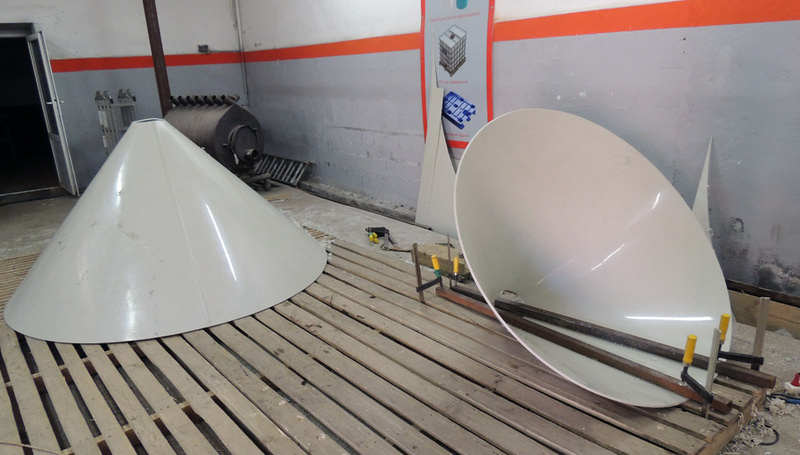 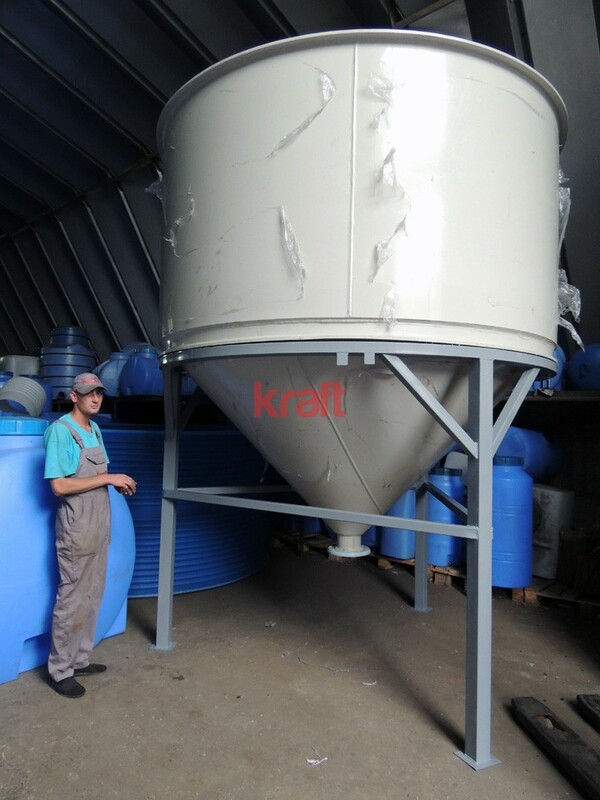 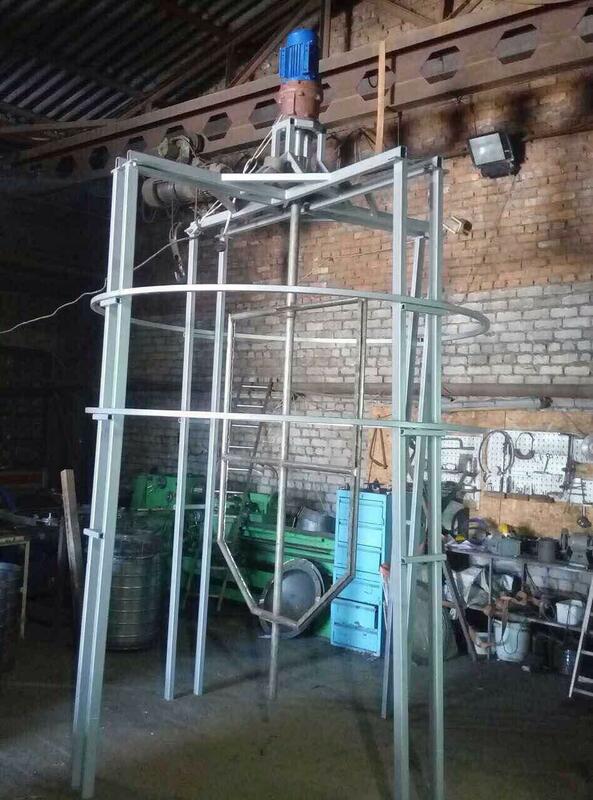 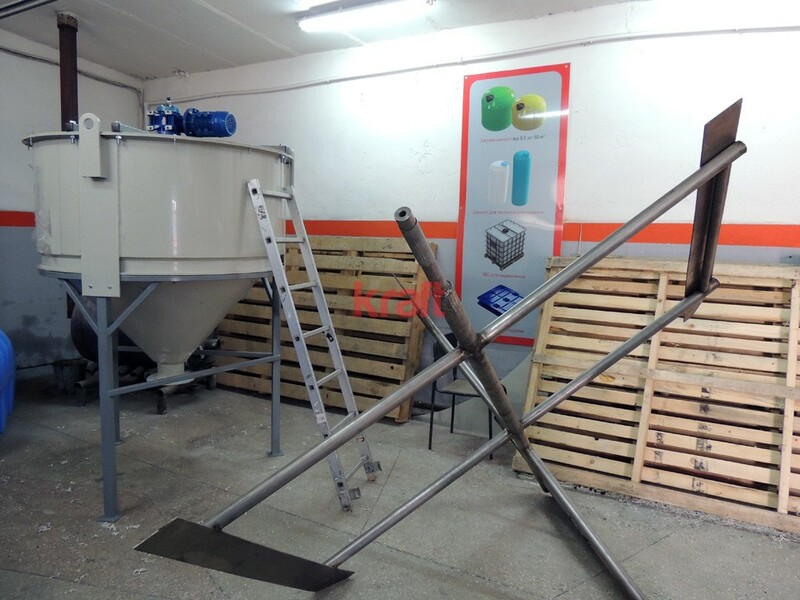 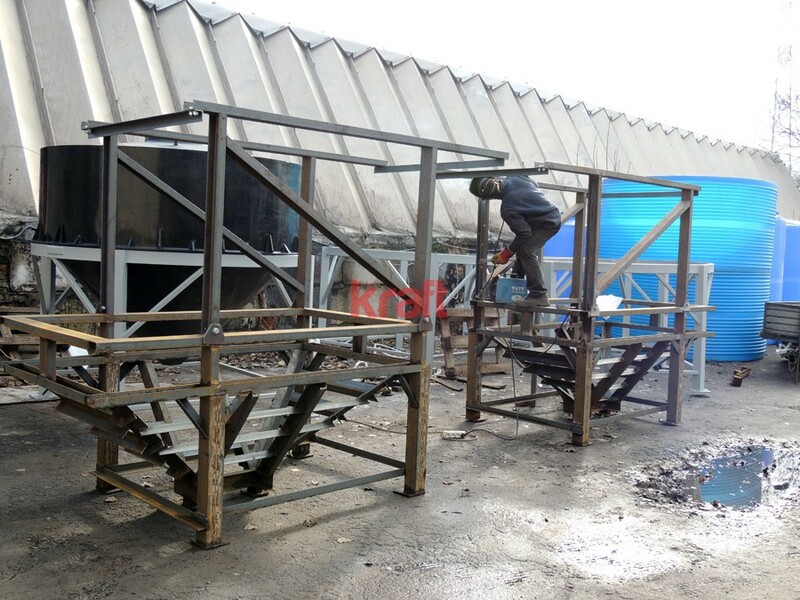 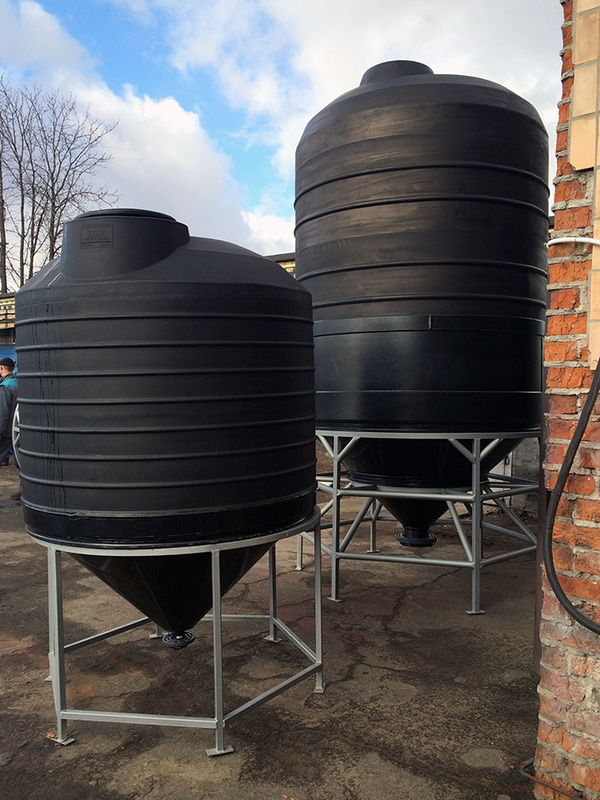 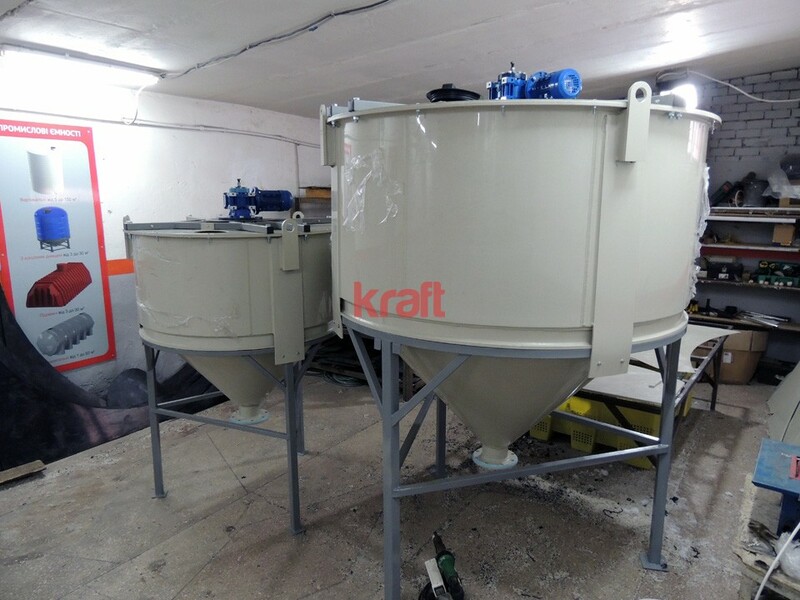 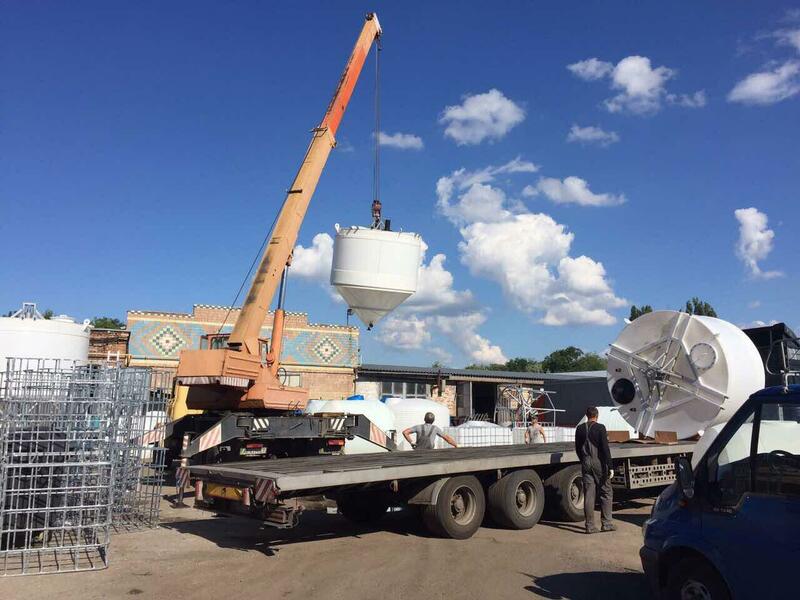 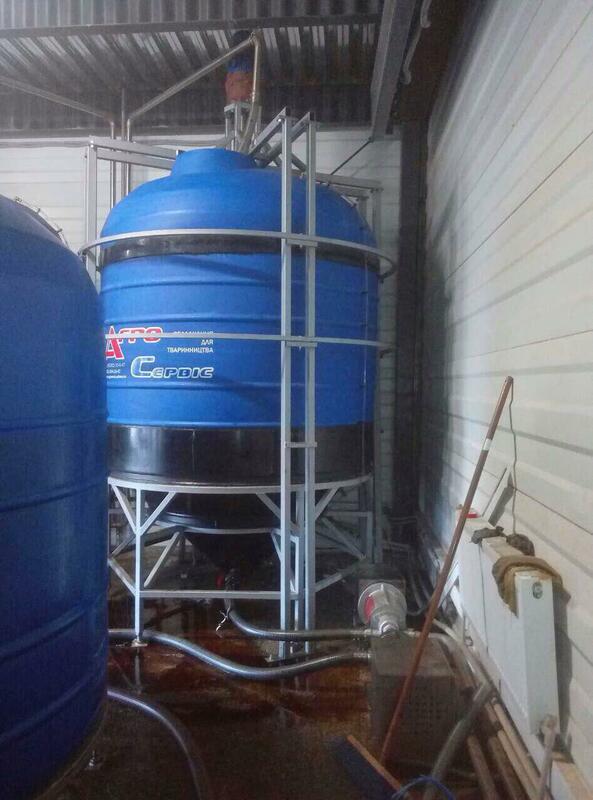 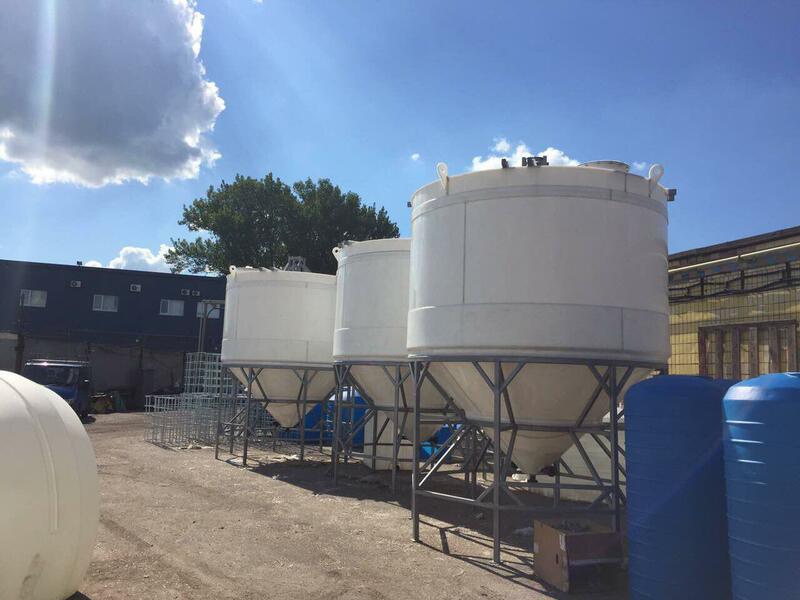 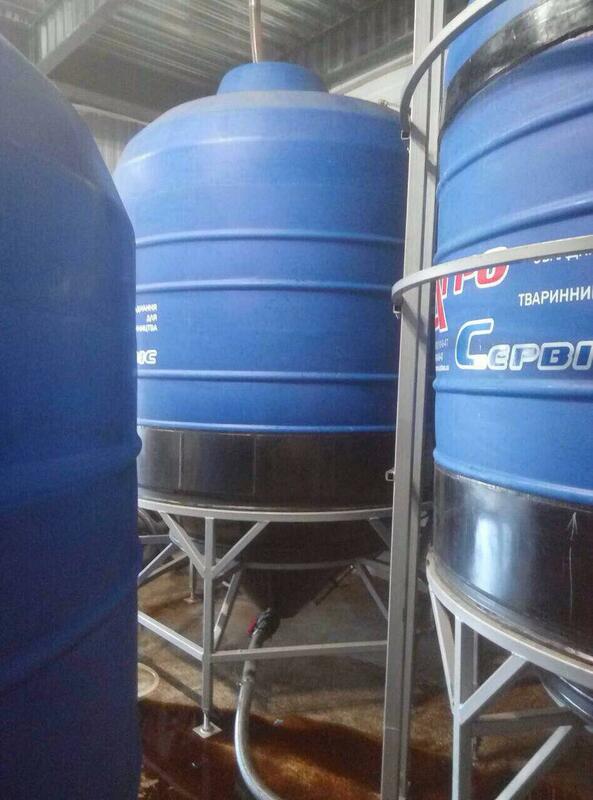 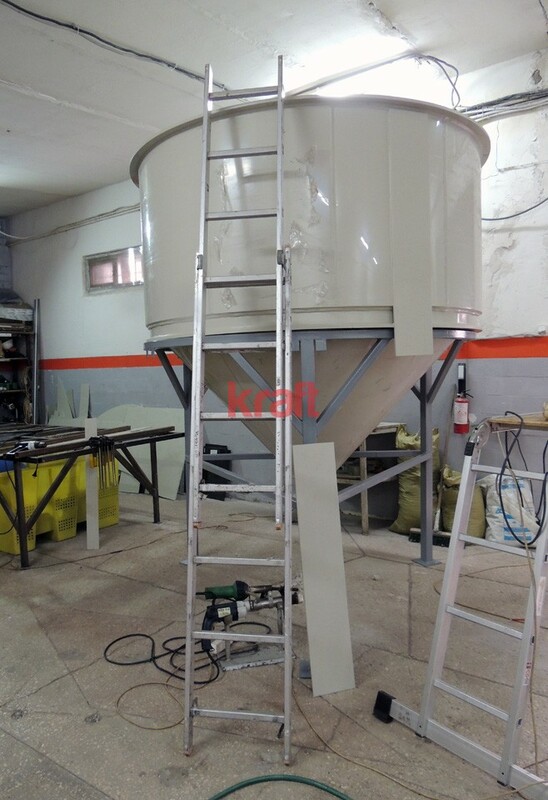 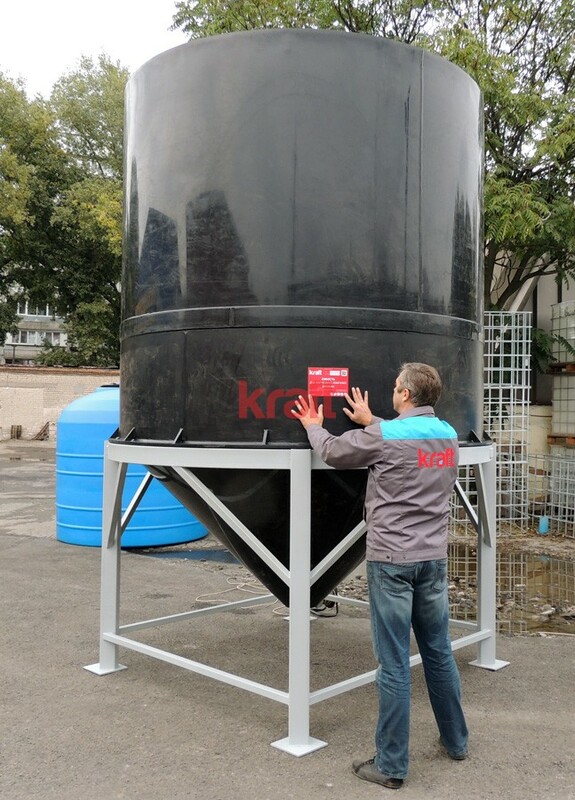 Tanks with conical bottom – a perfect solution for many industrial enterprises, because for the production of food and other things it is important both the storage of raw materials and semi-finished products as well as the effective system of devastation. 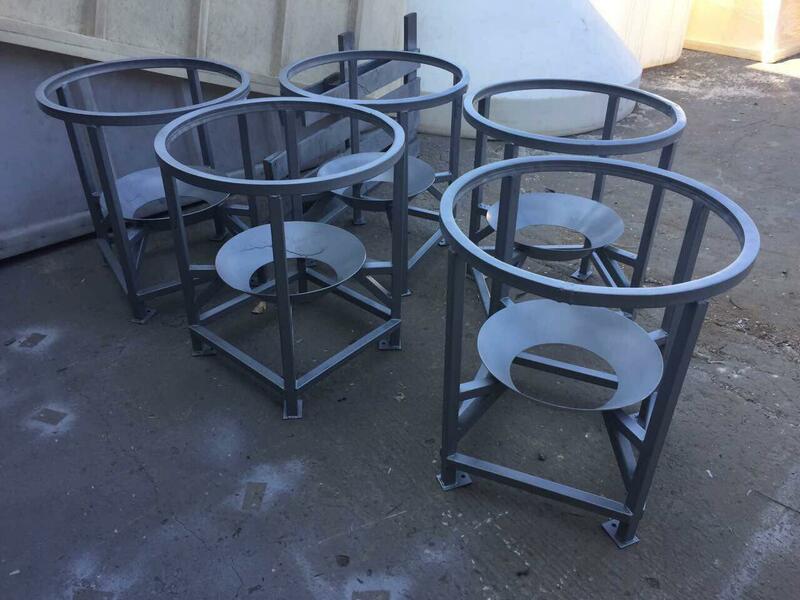 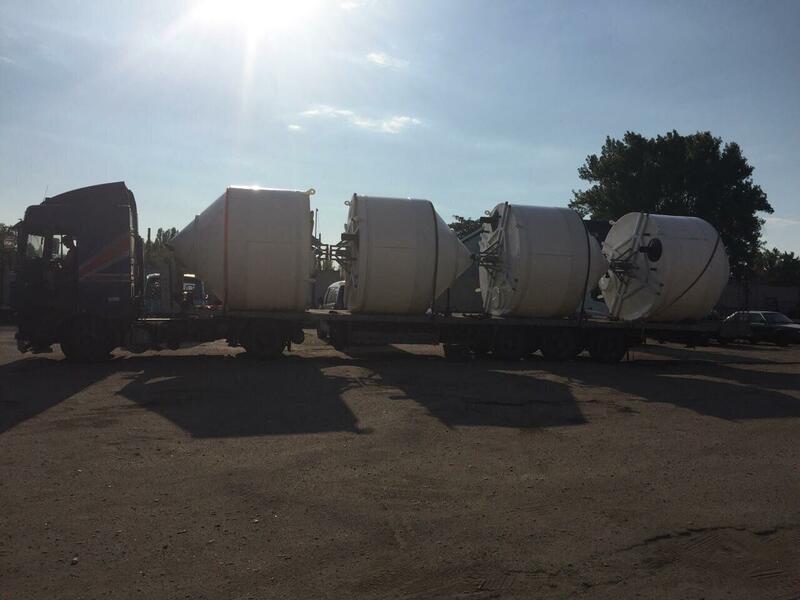 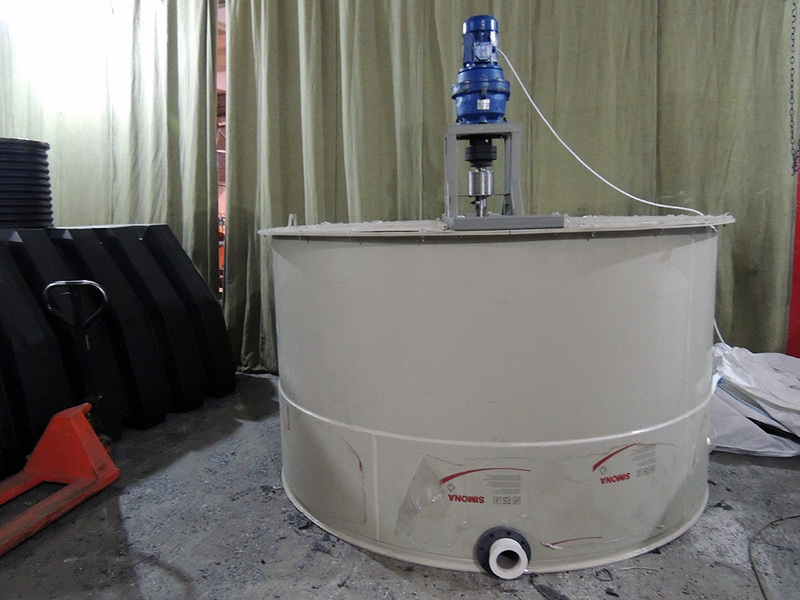 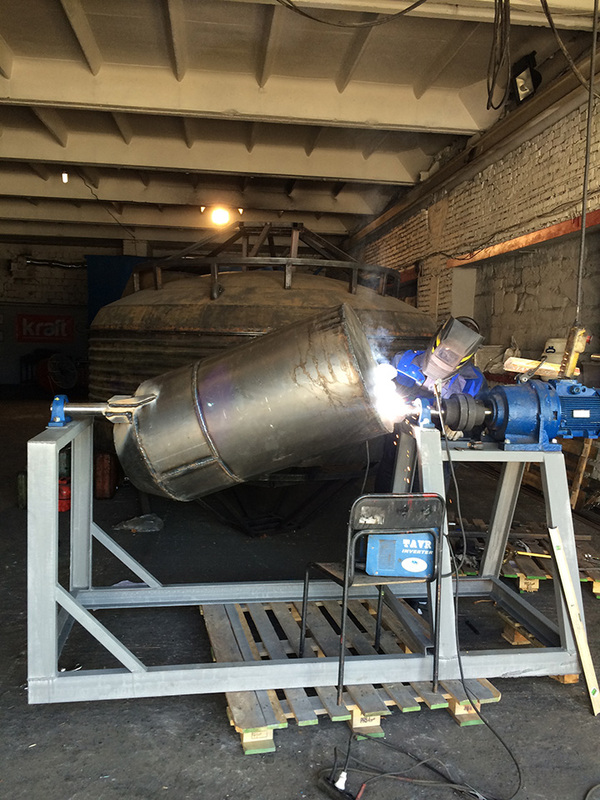 Modern technology of rotational molding, soldering and handling, allow the conical tanks to be better than metal counterparts for strength and durability. 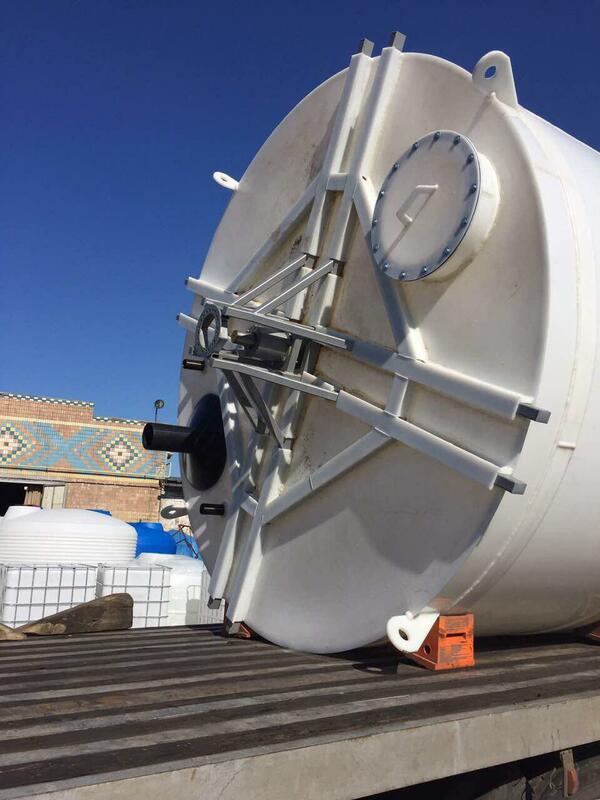 The conical bottom of tanks is their great merit with due professional use. 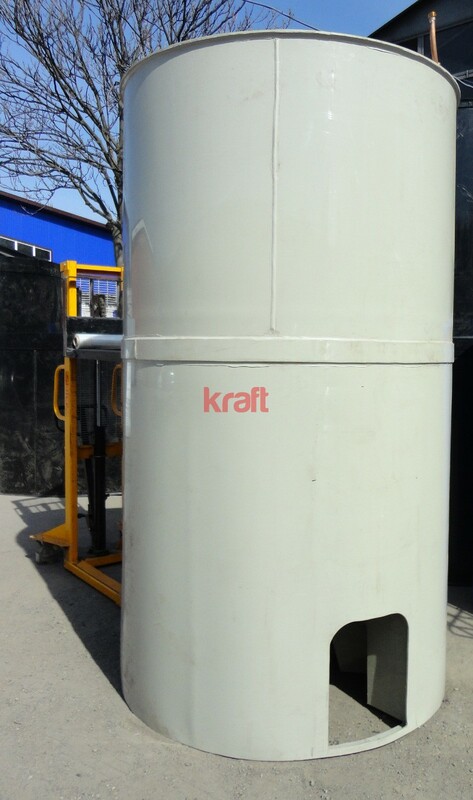 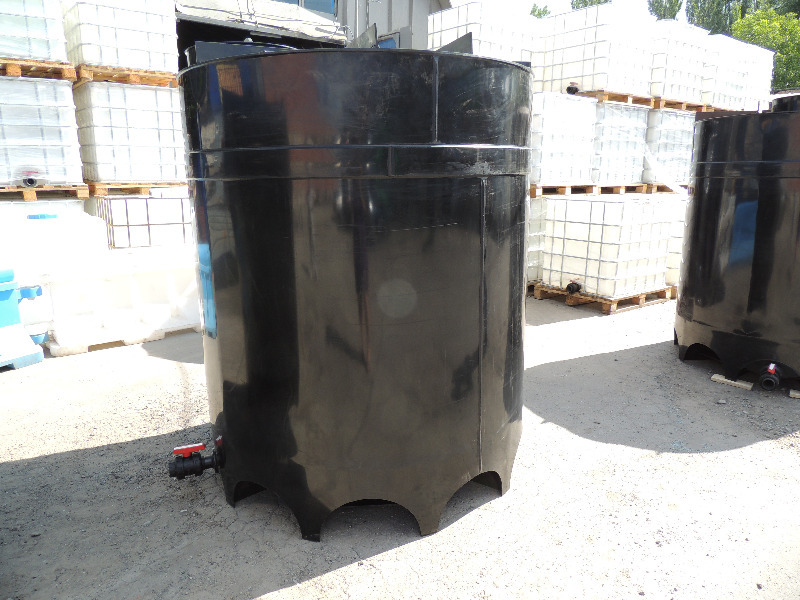 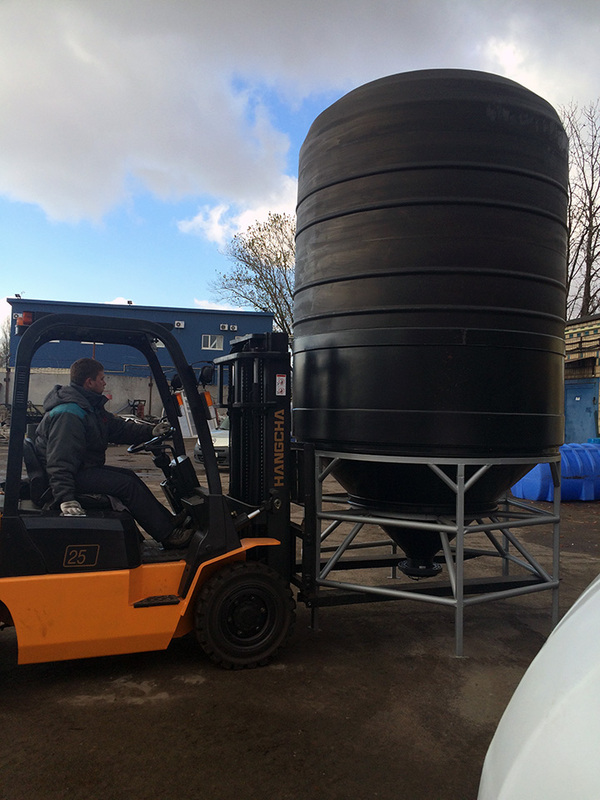 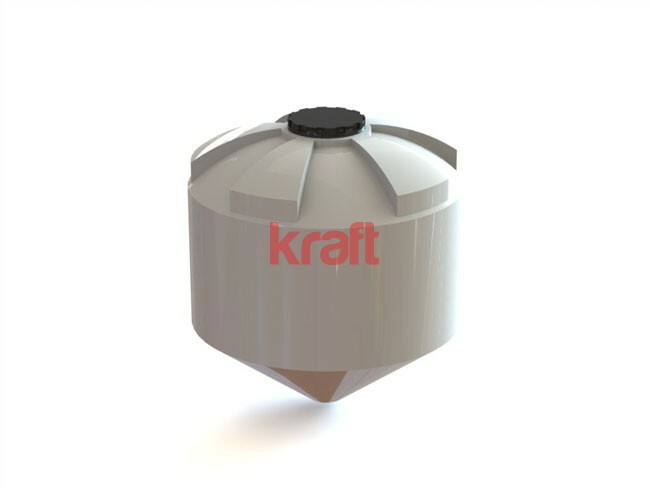 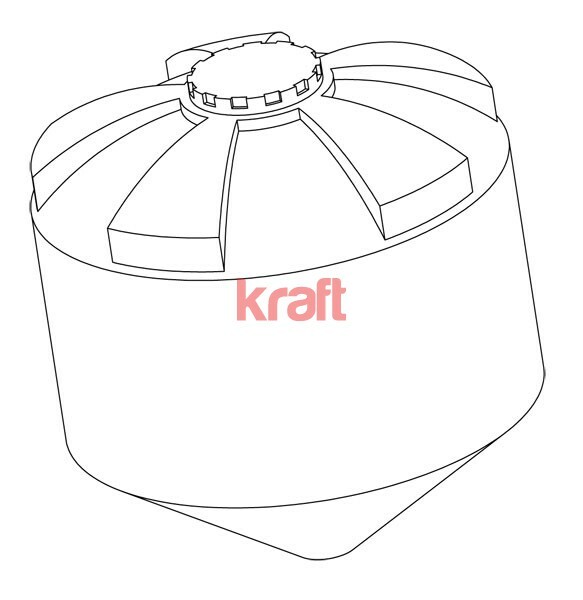 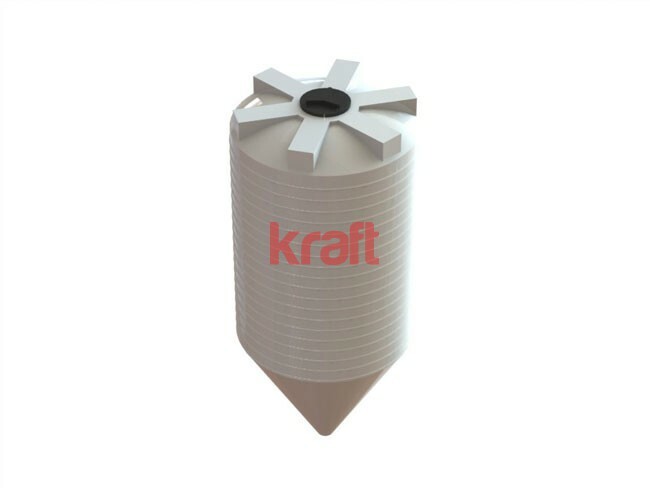 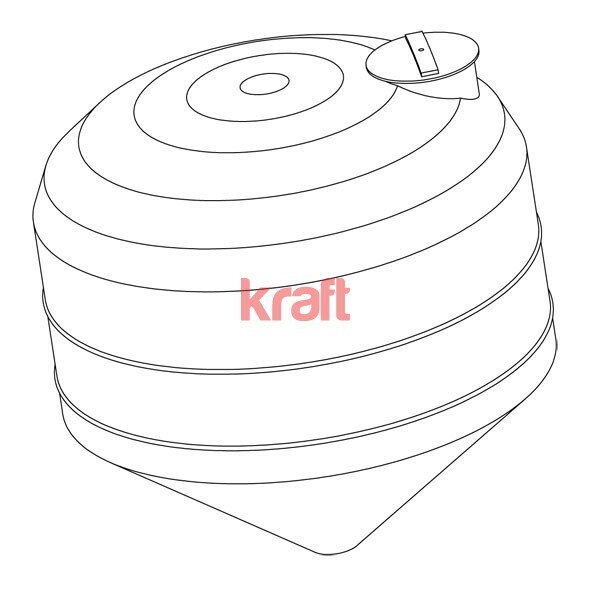 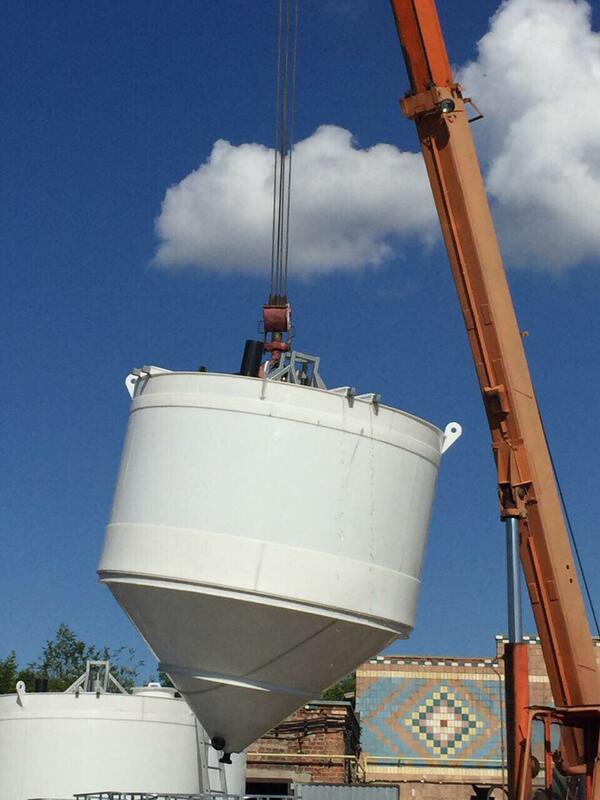 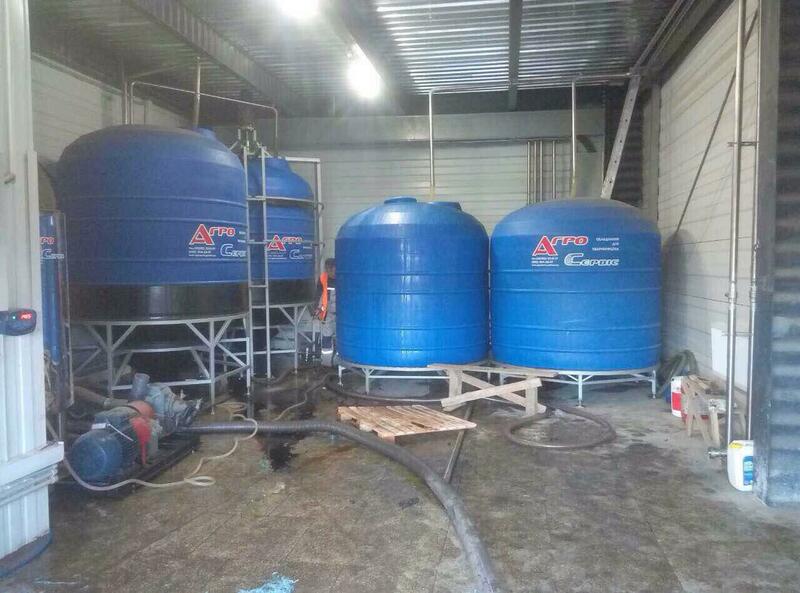 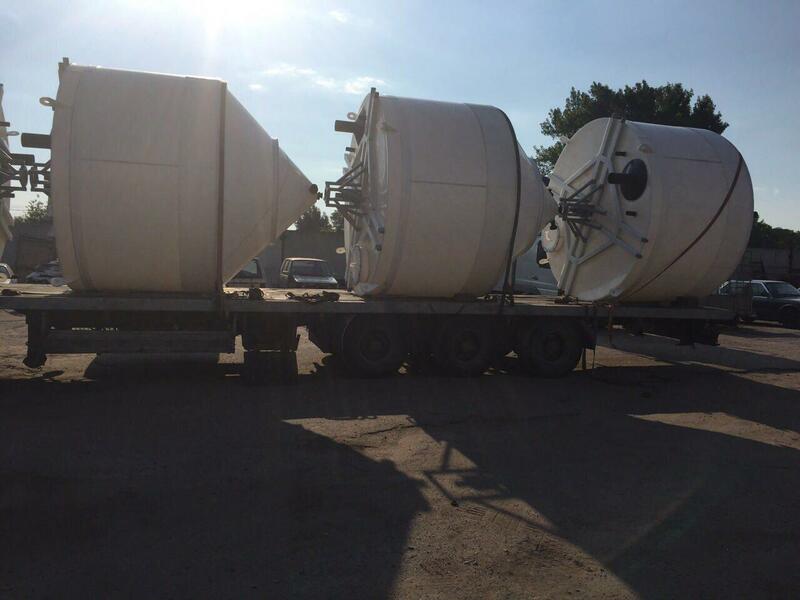 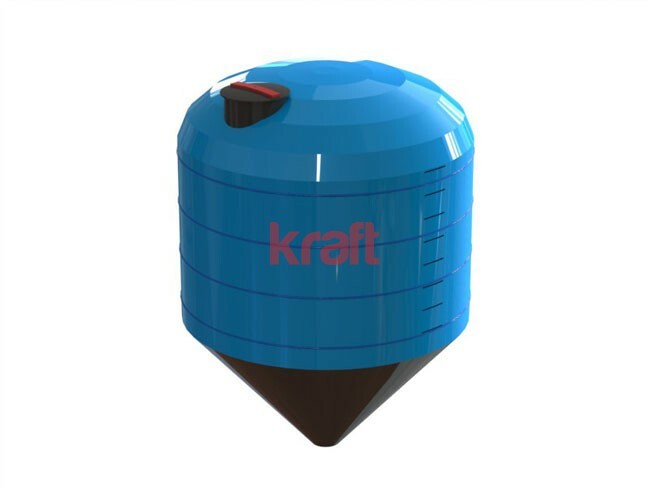 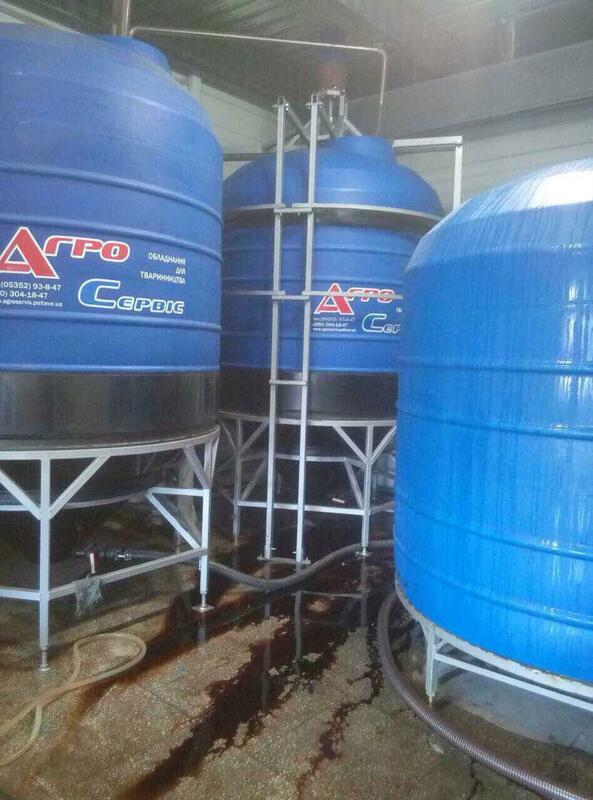 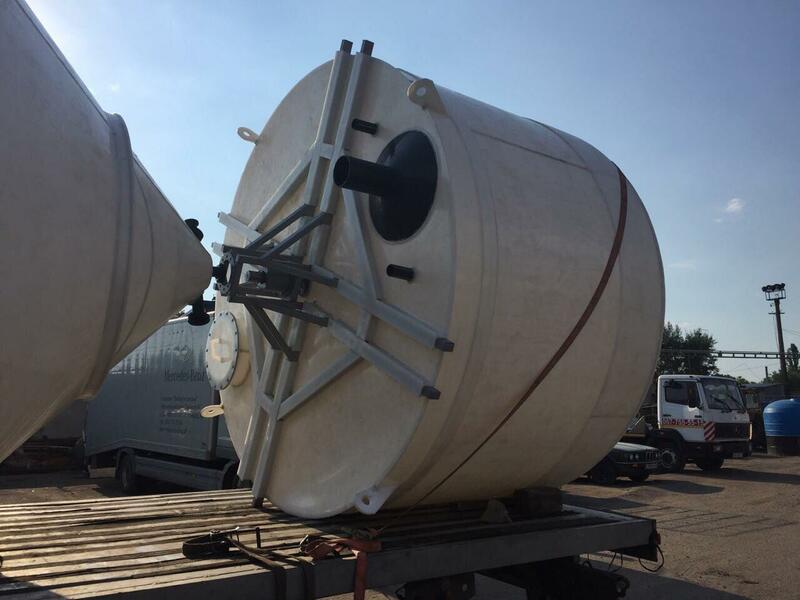 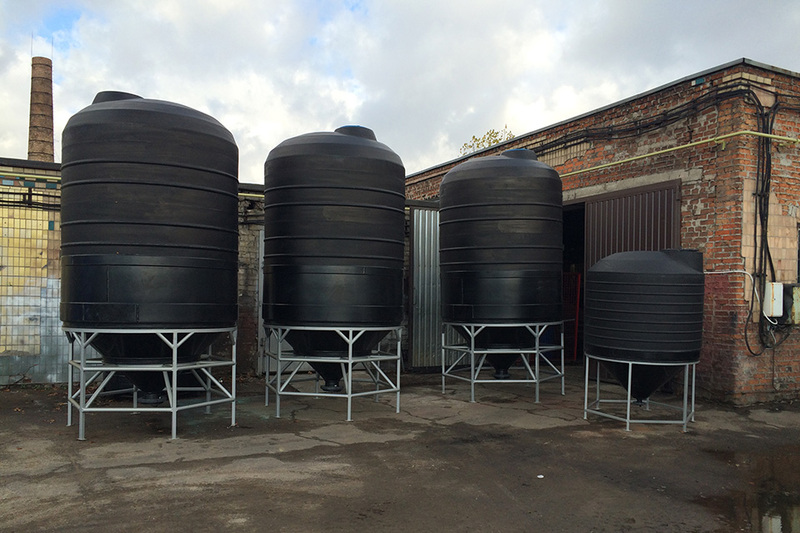 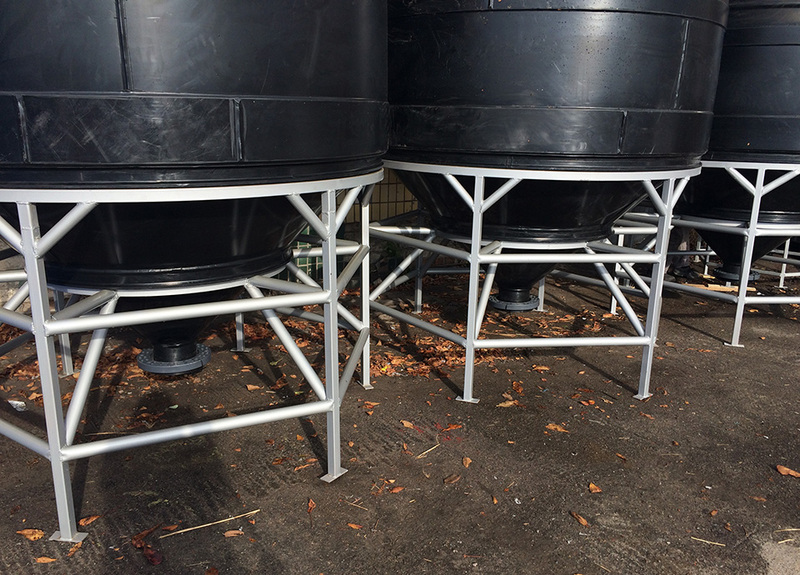 Tanks with conical bottoms ensure complete emptying of tank, saving production resource and simplifying cleanup. 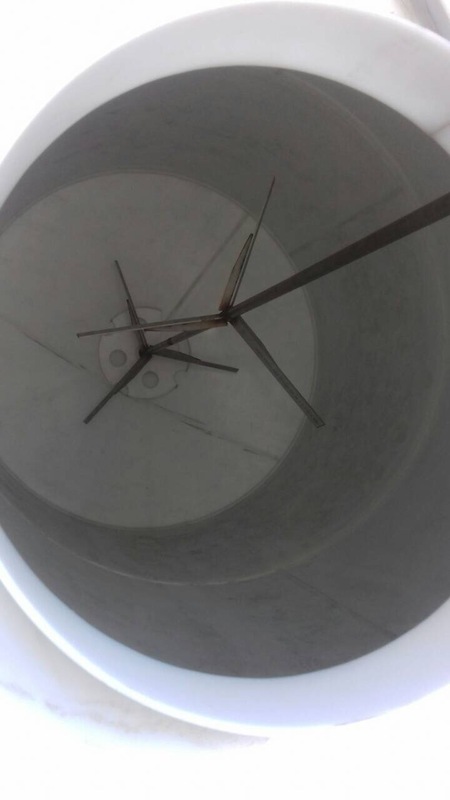 A good producer always takes care of the problem with the installation. 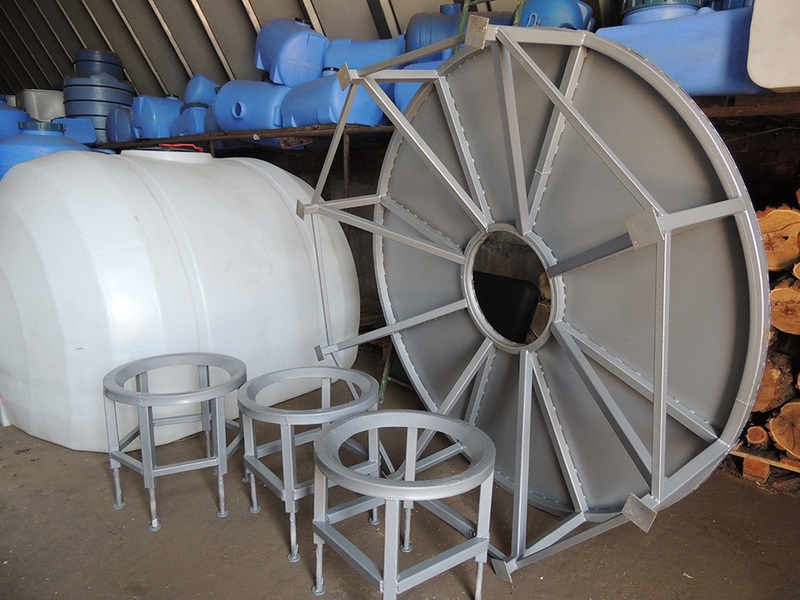 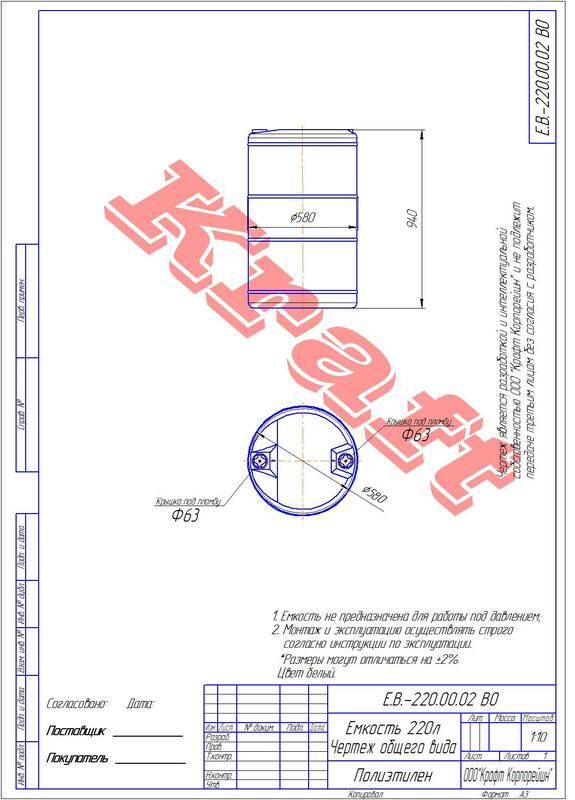 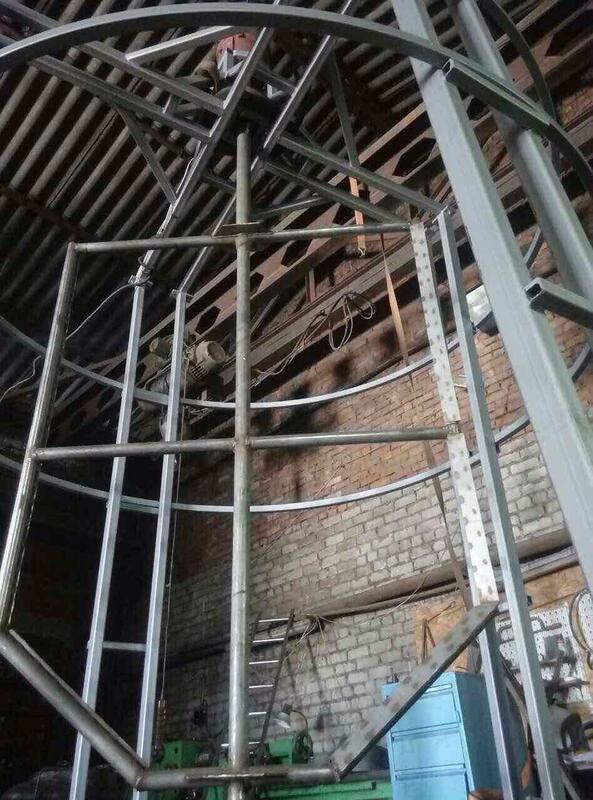 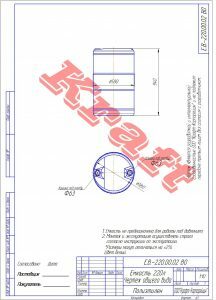 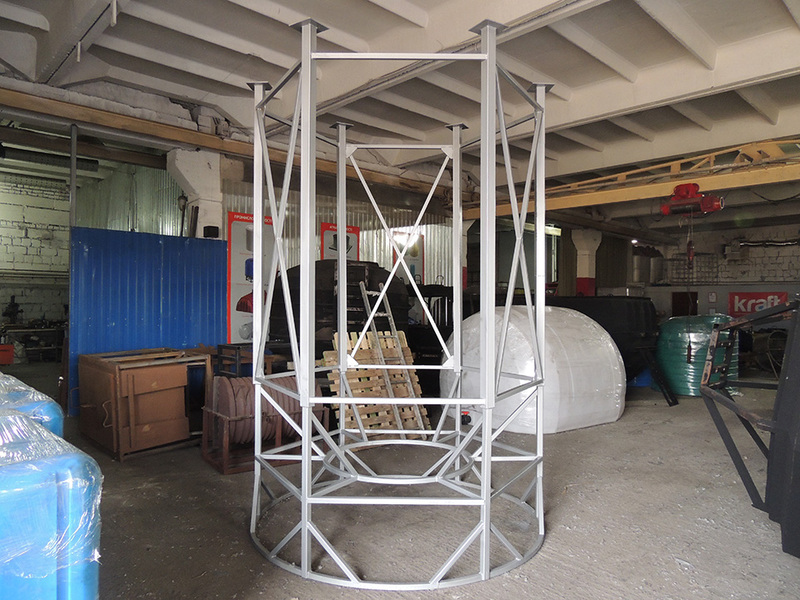 Various special designs, supports and trusses are reliable “foundation” for tanks with conical bottom. 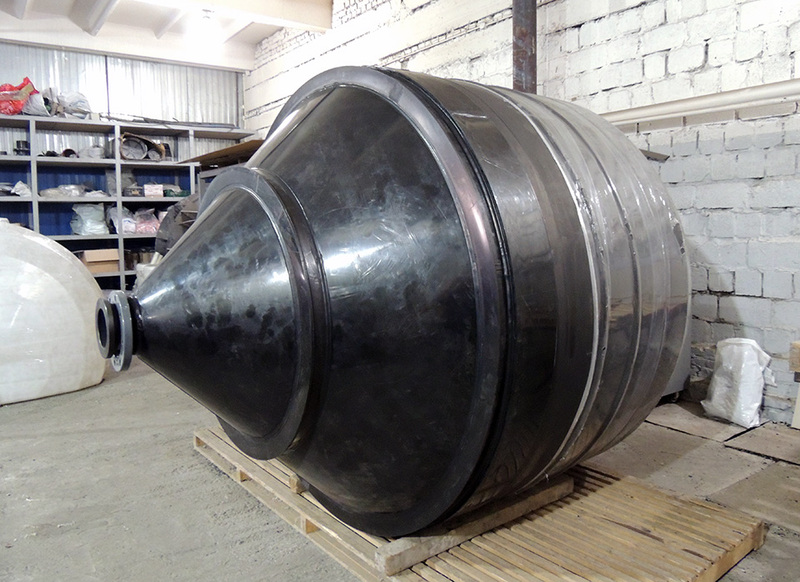 One of the main components of the tank with a conical bottom is fitting. 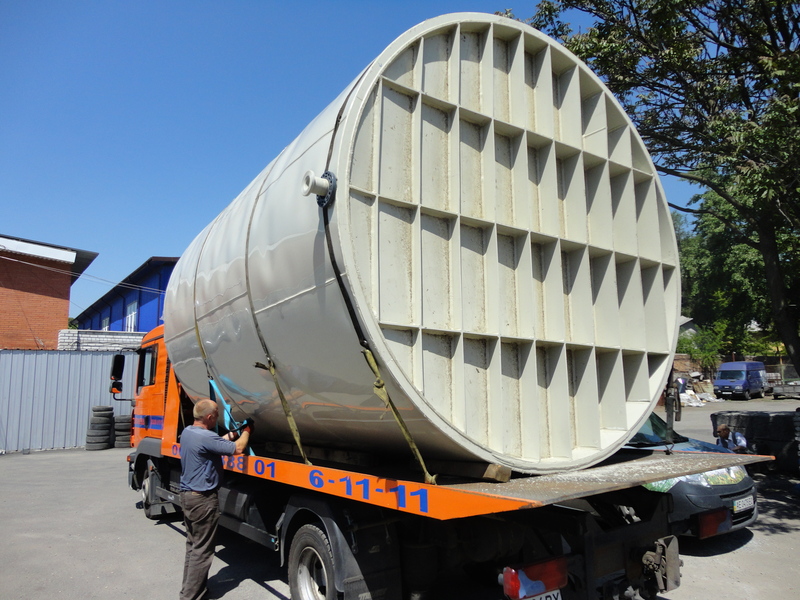 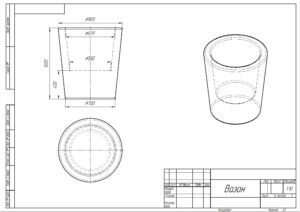 Fittings, flanges and valves are an integral part for the emptying cone. 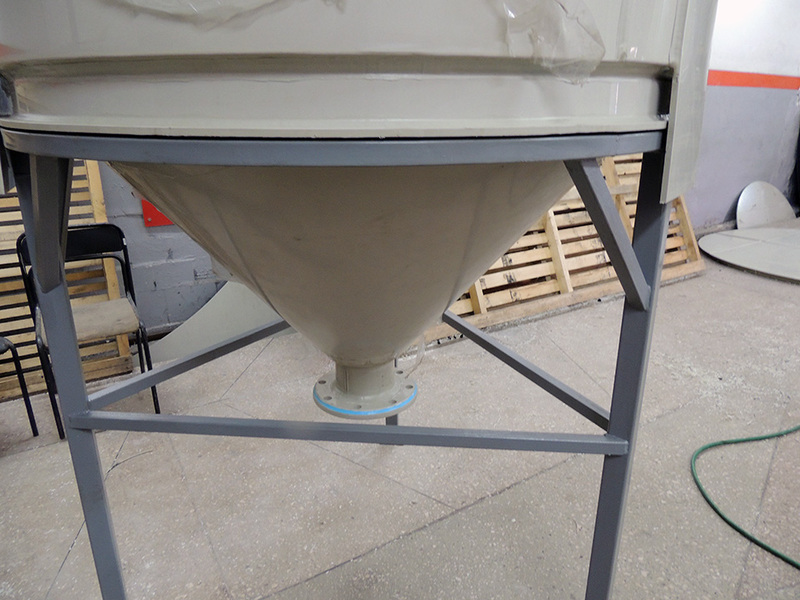 In addition, a wide range of variation of this system allows the use of a conical tank as a hopper for bulk materials.